Multitalented Brighton-based musical chameleon Bonobo took to the decks at Radio 1 this weekend to record his own take on the legendary Essential Mix series. As we've come to expect, his track selection is eclectic, his technique flawless and his musicality unequalled. Bonobo takes pride in the overlapping areas between producing, DJing and his live instrument work with his band, and these three disciplines come together for this wonderful mix. 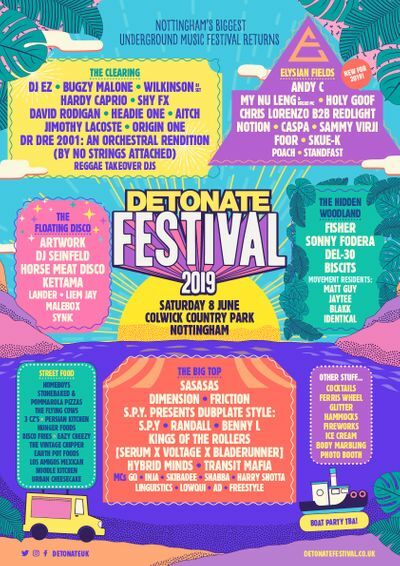 You can catch Bonobo playing a DJ set at Detonate Festival on June 7th at Nottingham Racecourse. Click HERE to join the event and find all the info you need.